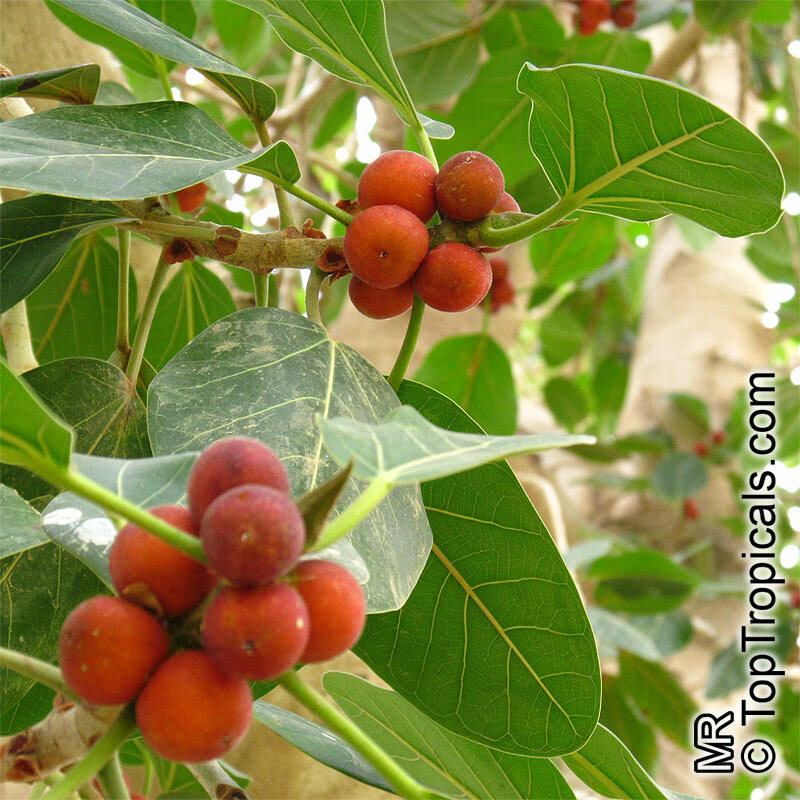 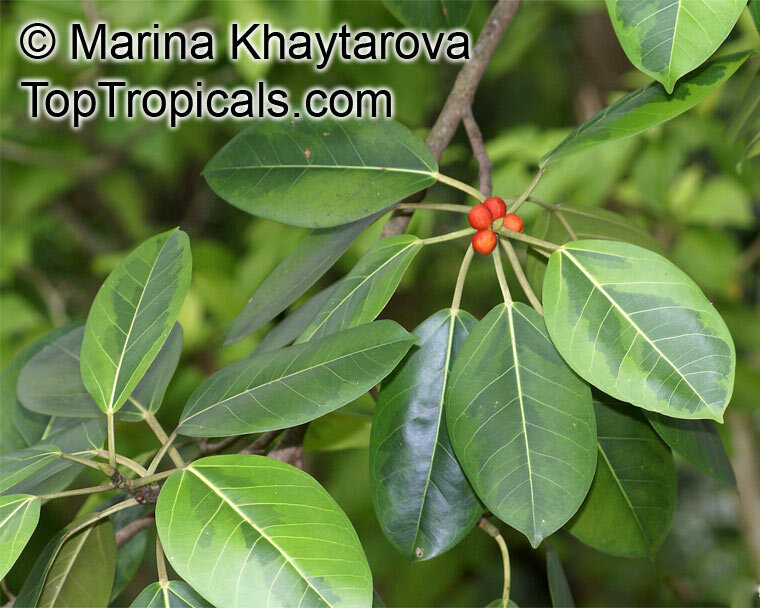 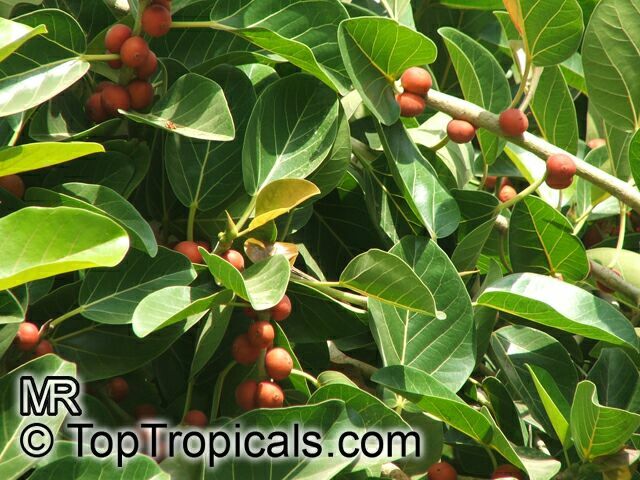 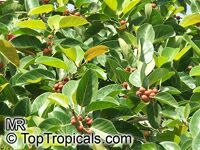 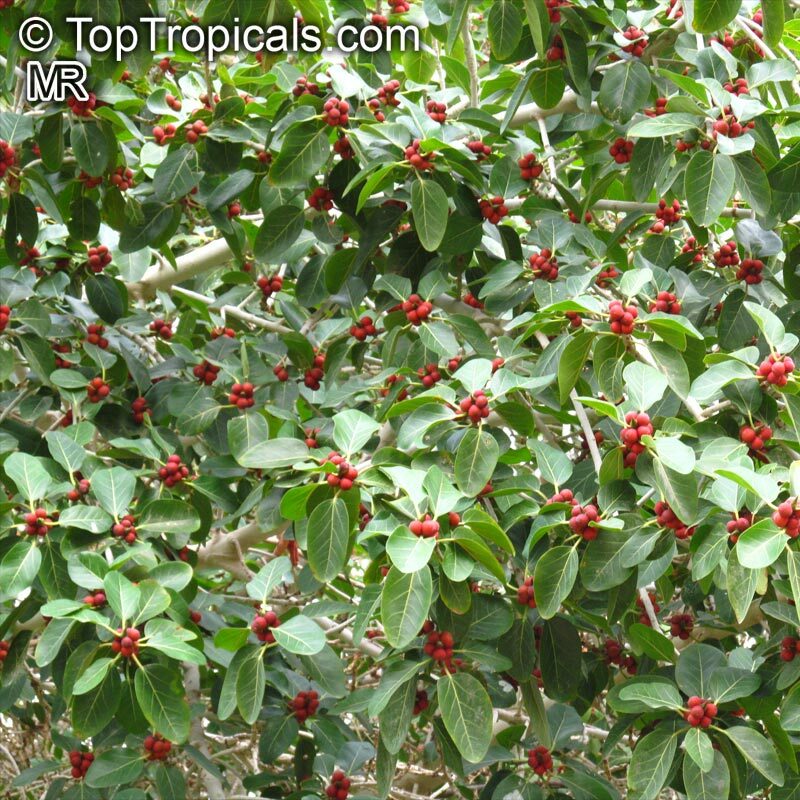 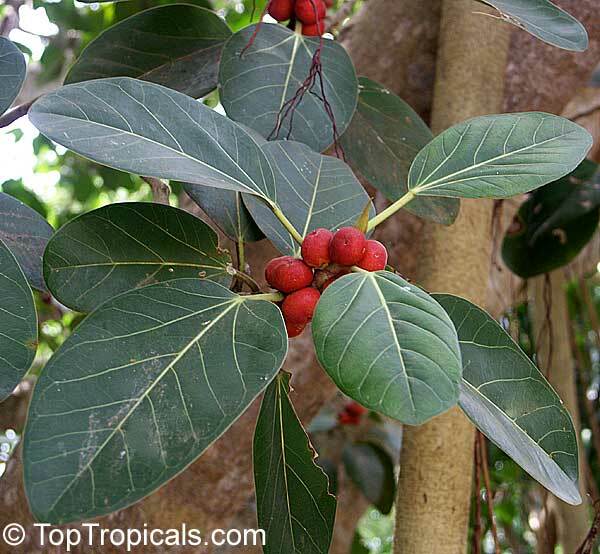 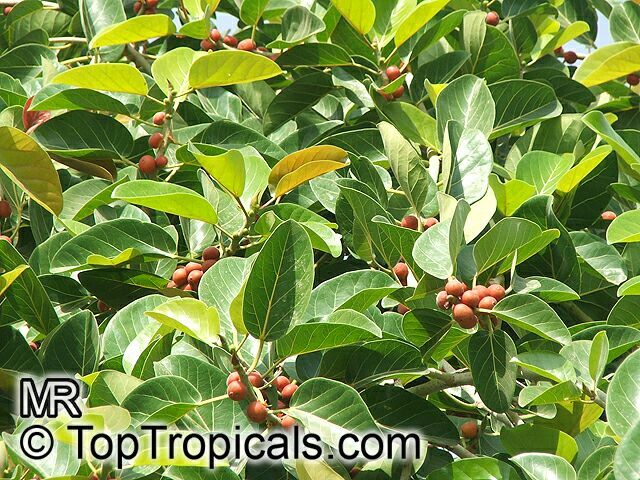 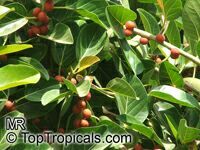 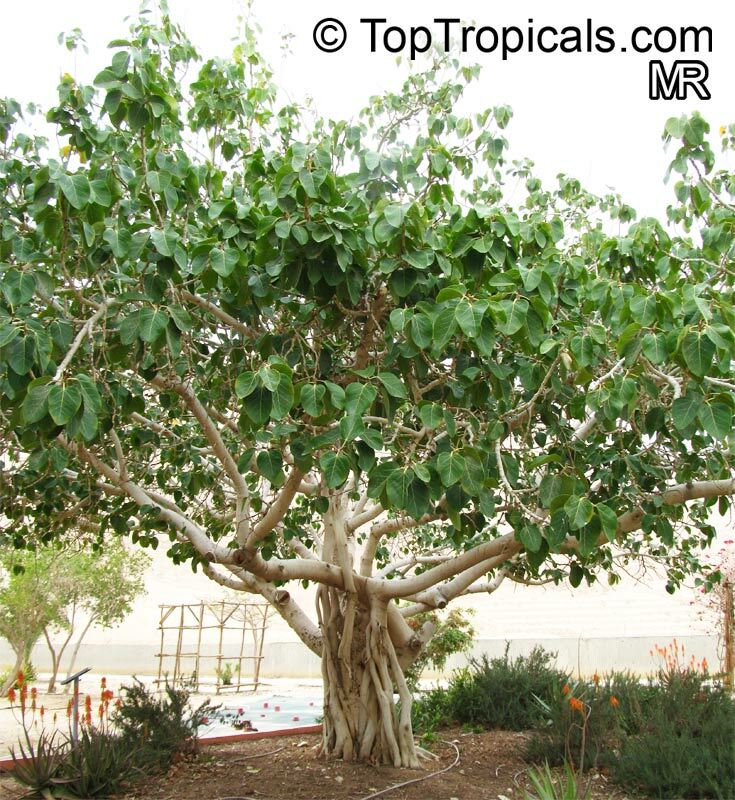 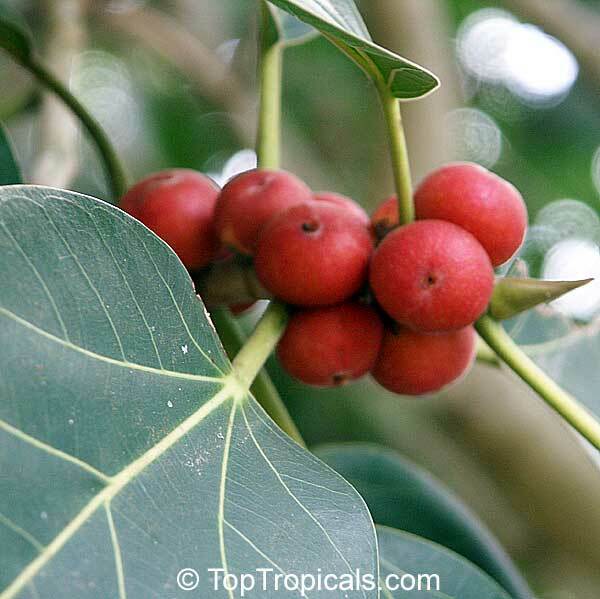 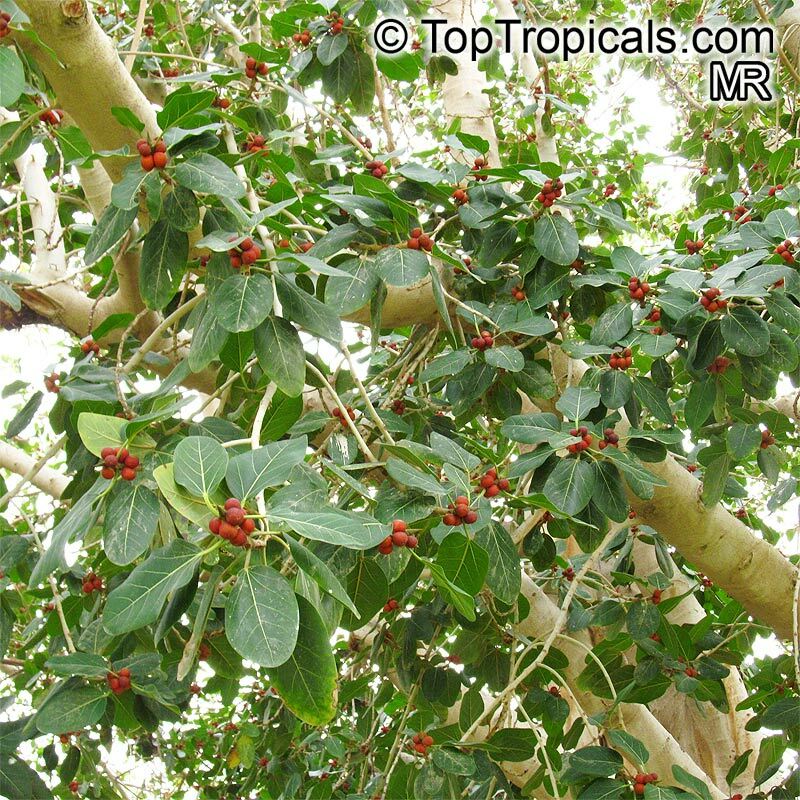 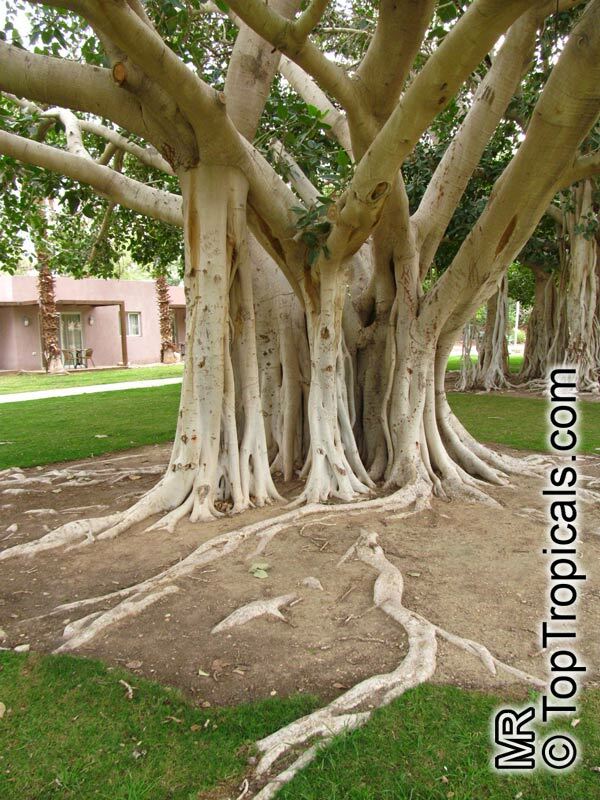 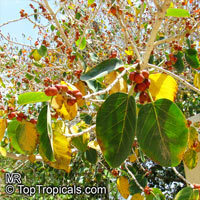 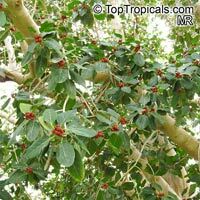 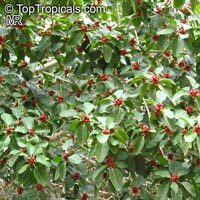 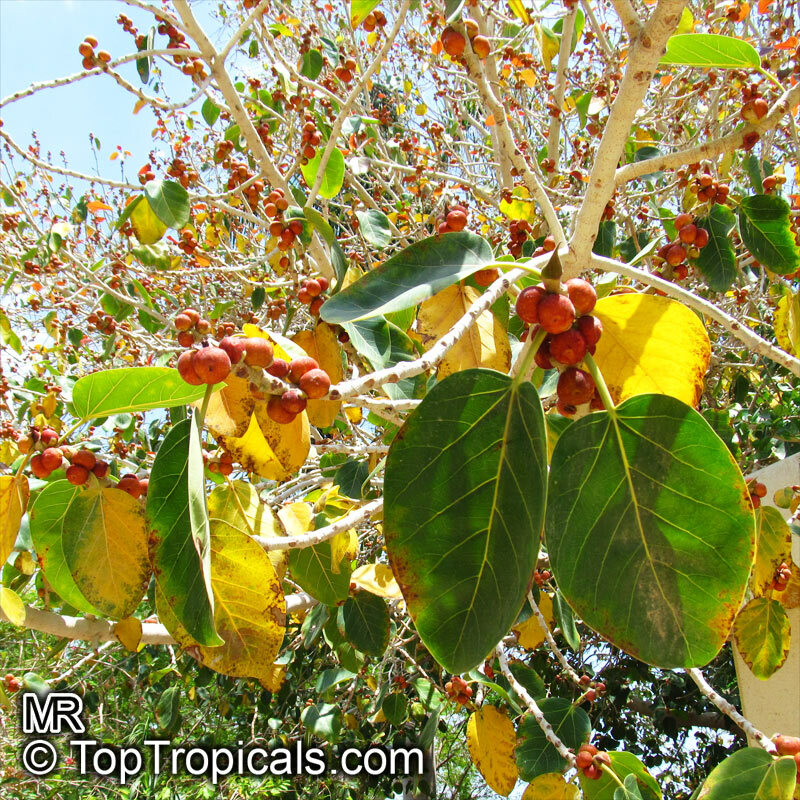 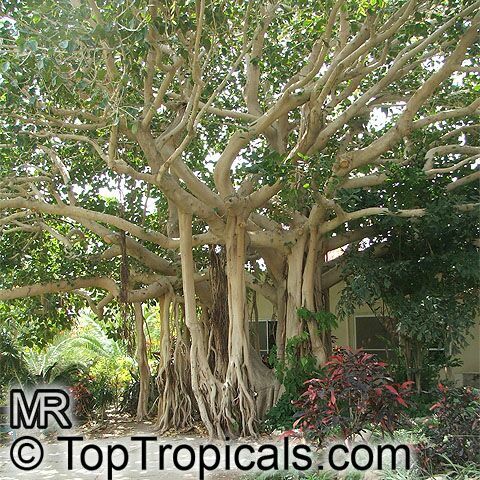 Very large, fast growing, evergreen tree up to 10ft, with spreading branches and many aerial roots. 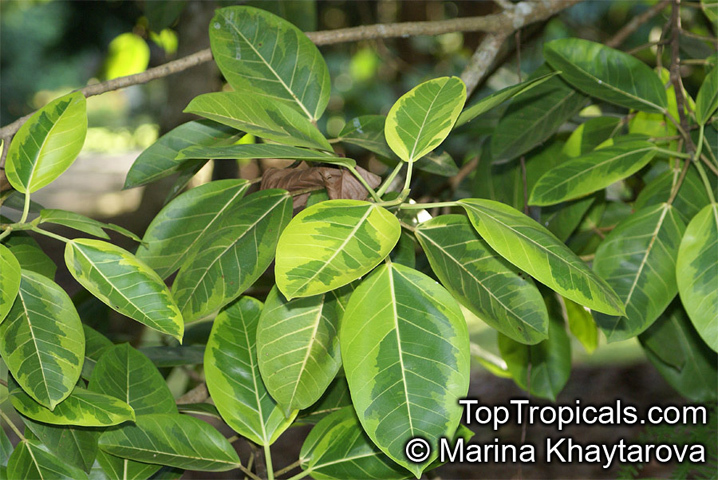 Leaves stalked, ovate-cordate, 3 nerved, when young downy on both sides; petiole with a broad smooth greasy gland at the apex, compressed, downy. 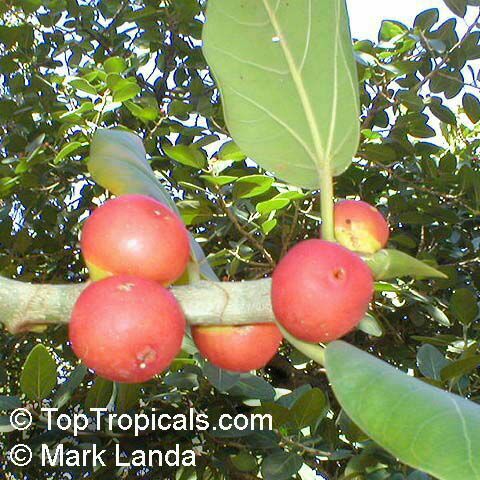 Fruit in axillary pairs, the size of a cherry, round and downy. 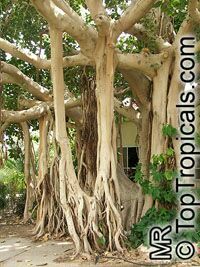 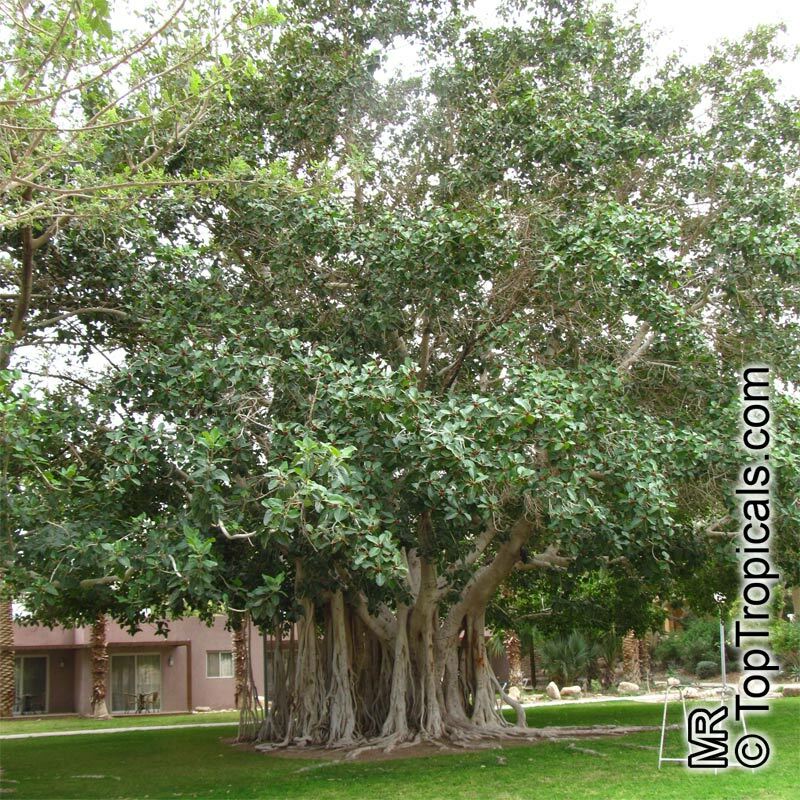 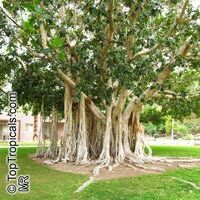 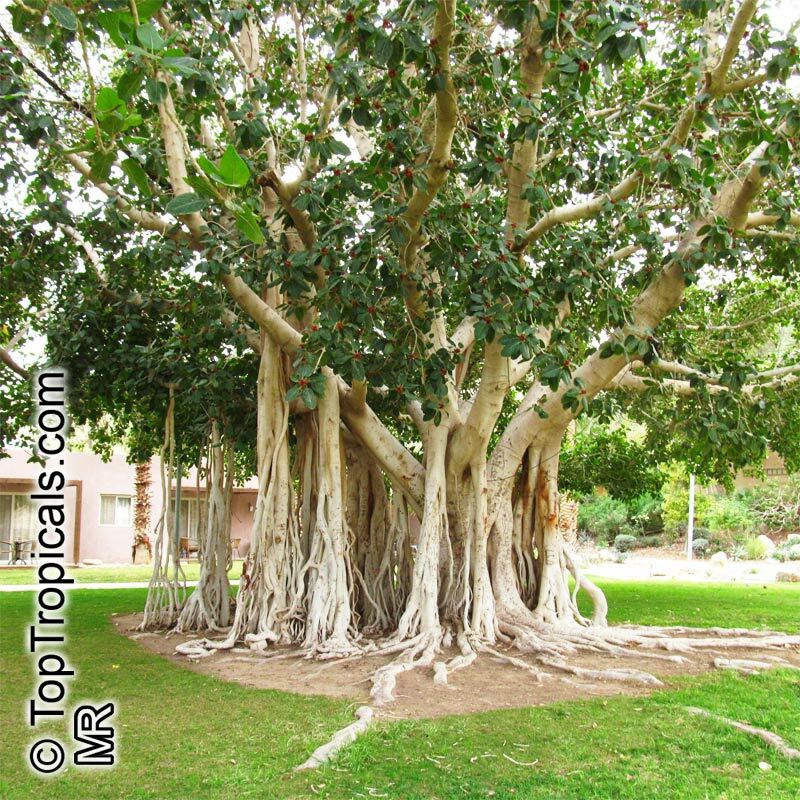 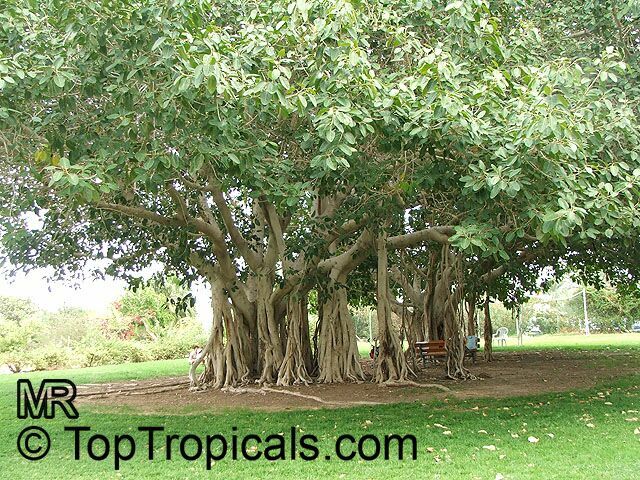 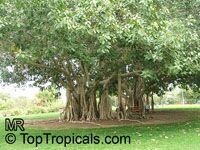 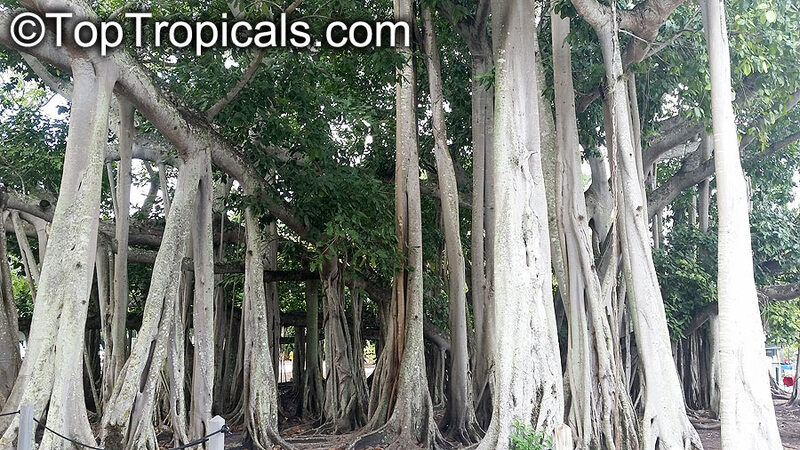 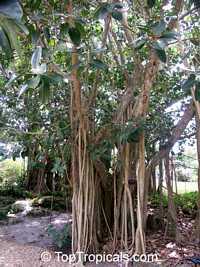 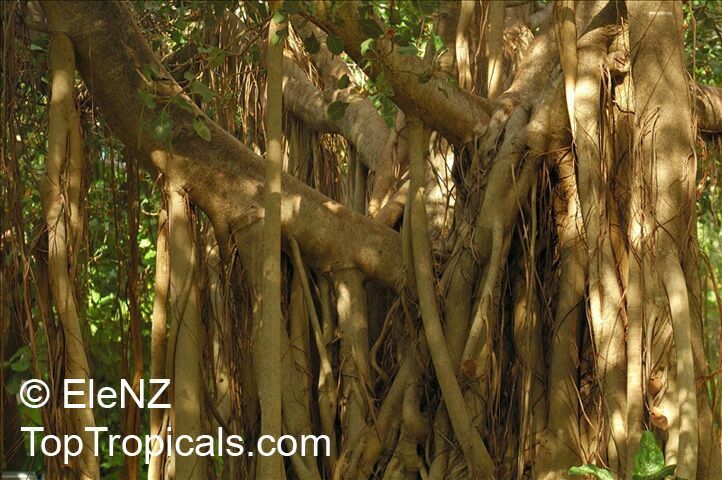 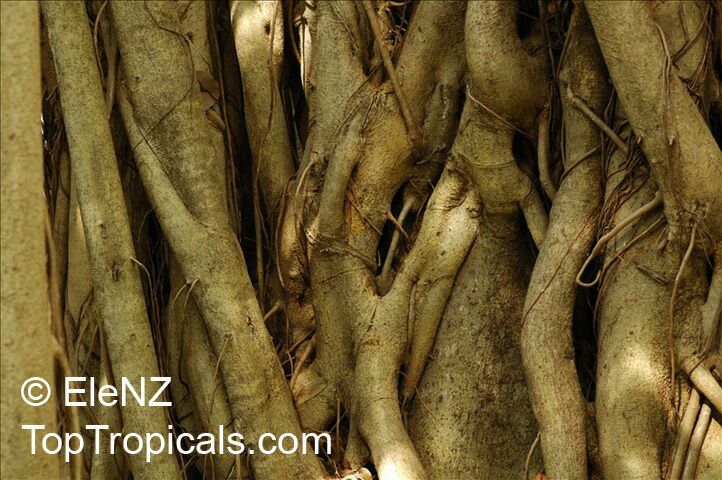 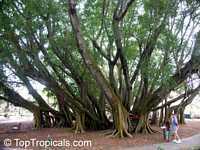 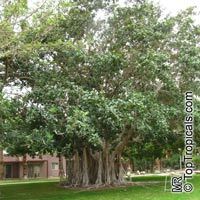 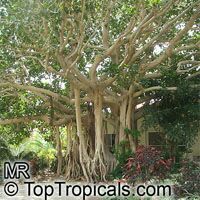 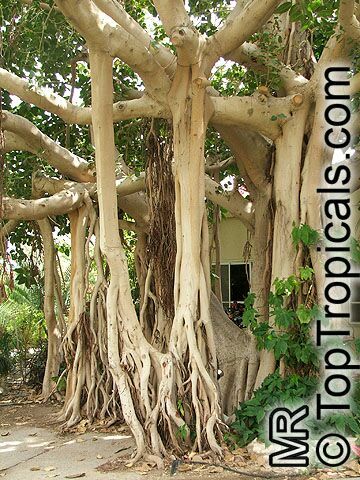 The Indian Banyan is the most famous banyan. 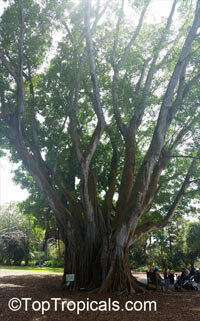 In India, an entire army camped under a single giant old tree. 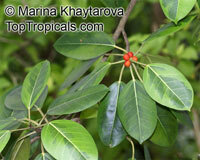 Various parts of this plant are considered medicinal. 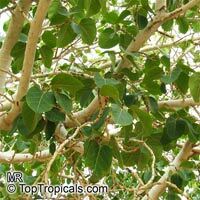 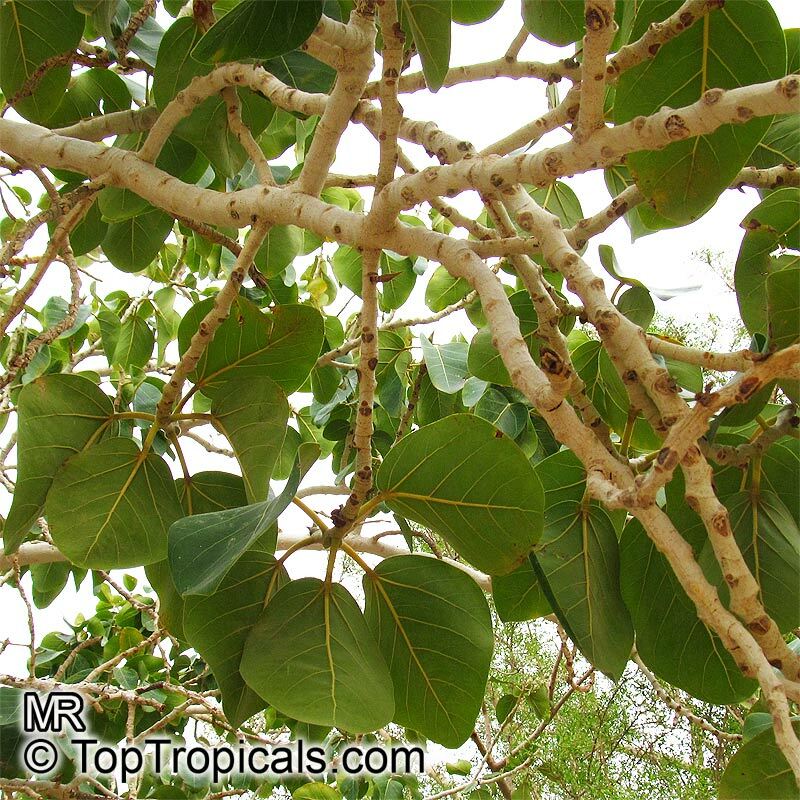 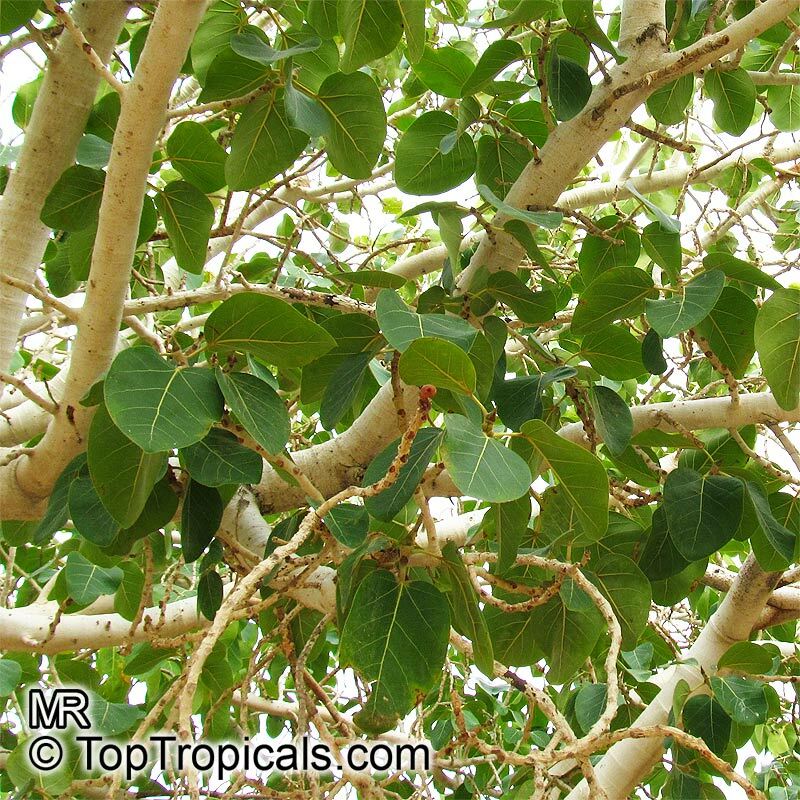 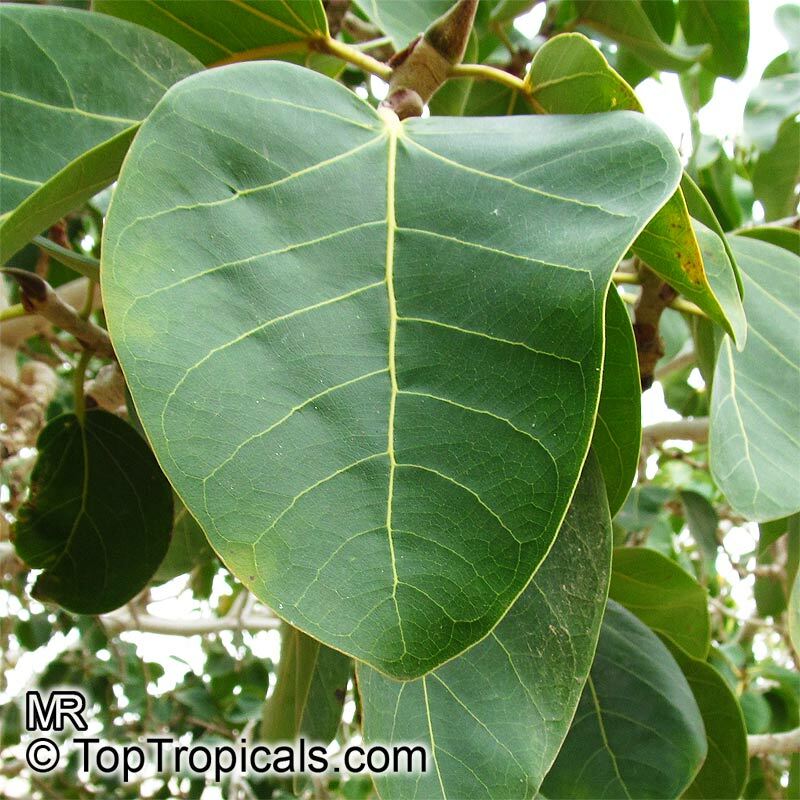 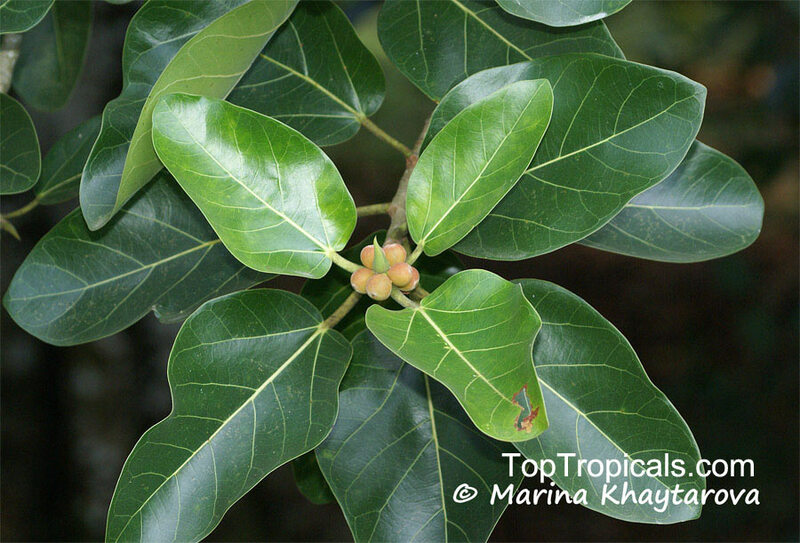 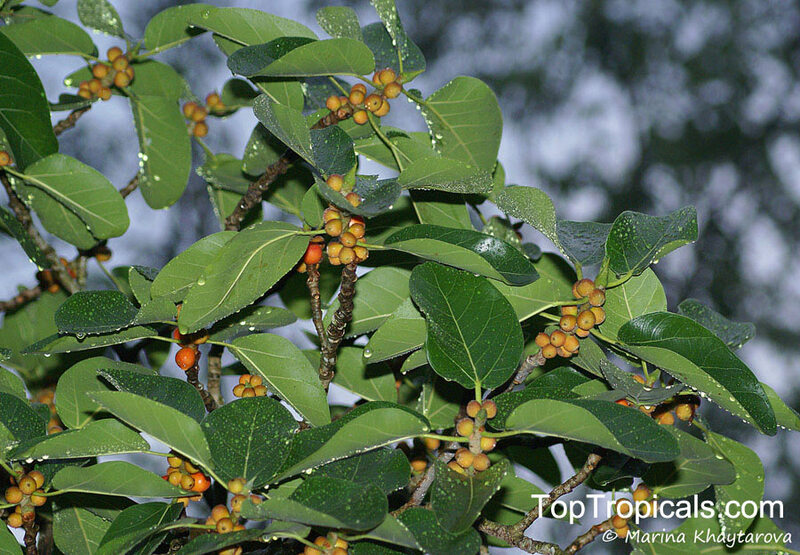 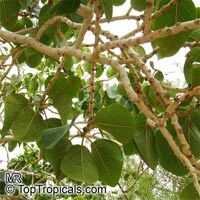 The bark of this therapeutically valuable tree is attributed with tonic, astringent,cooling and diuretic properties in Ayurveda. 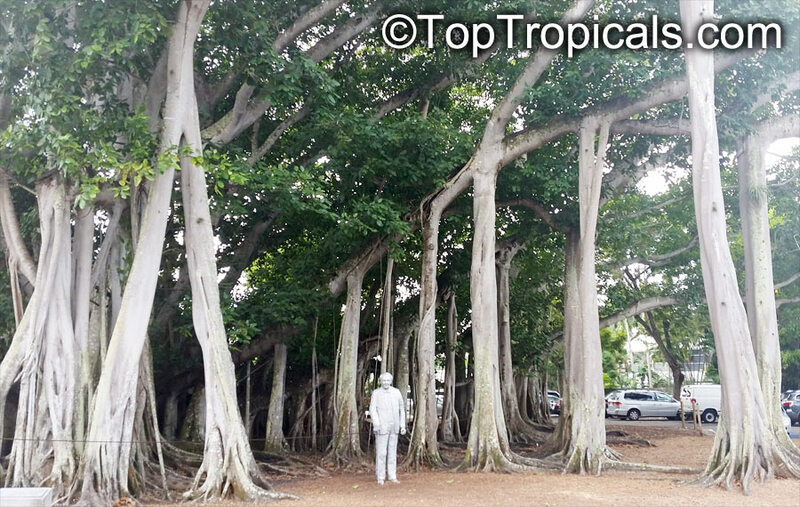 Ficus benghalensis, planted in 1927 as a sapling circa and the Thomas Alva Edison statue.